The Adidas hex dumbbells weigh 12.5kg (27.5lbs) and utilise an ‘old school’ anti-roll design for greater workout versatility and added safety. 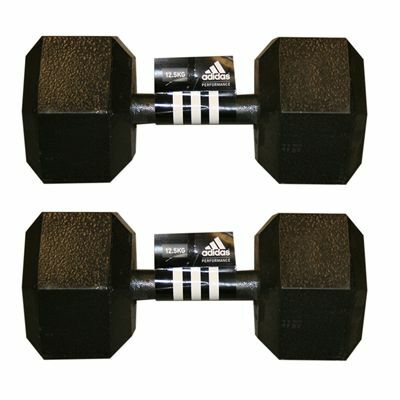 The grip is machine knurled, whereas the handle and disc are welded to deliver a robust one-piece design. 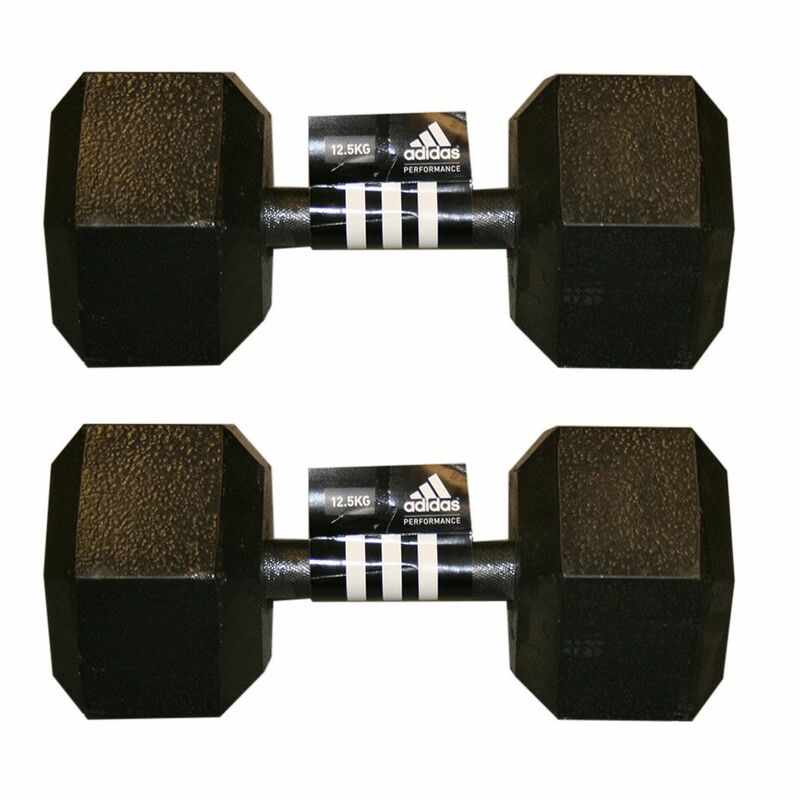 The dumbbells are ideal for toning the muscles and gaining more strength and feature a premium quality iron construction for excellent durability. 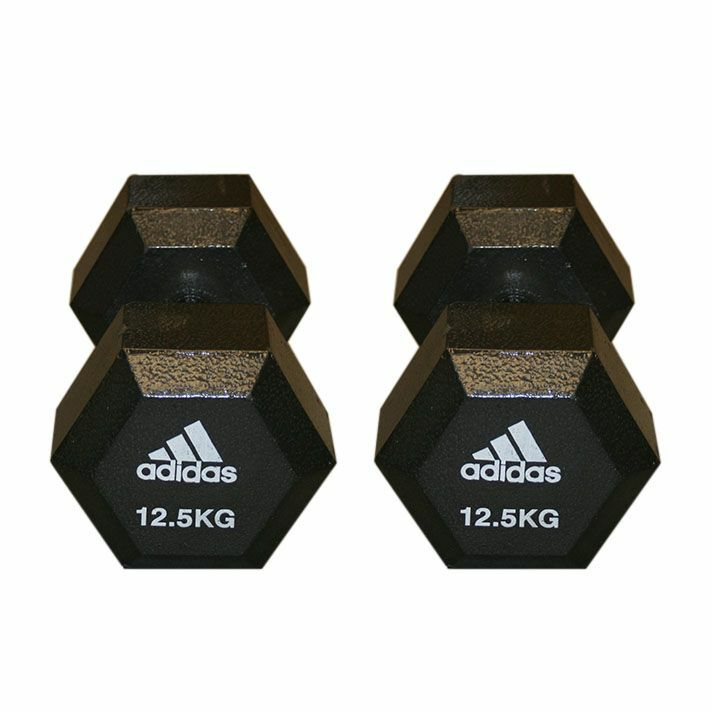 They come in a pack of 2.
for submitting product review about Adidas 2 x 12.5kg Hex Dumbbells.